if they celebrated "fall" here..
i would make a "batch" of these CUTE pumpkins. danielle made an awesome step by step tutorial found here! now go make some pumpkins that you won't have to dispose of when they rot on your porch! If you've got the sewing machine, I've got the fabric scraps. Let's DO THIS project together! adorable! and they look like fun to make. always next year! I need more hours in the day to make fun pumpkins like these! Oh, so adorable! 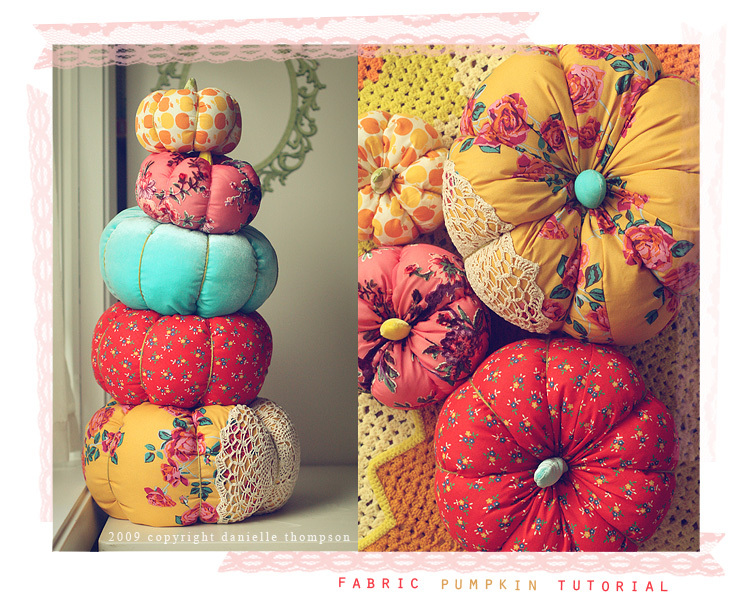 I like the idea of cutesy fabric pumpkins to decorate instead of real ones. i'm totally in LOVE with this!!! these pumpkins and the fabrics are sooo sweet!! There's always next year!! I'm sure your adventures will make up for not having these adorable pumpkins on your porch! Would love to hear more about your travels...so we can live vicariously through you! Thanks for joining us at our Table! We look forward to getting to know you! 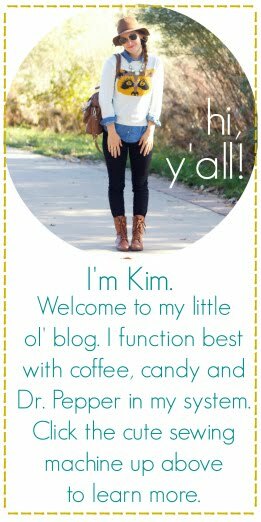 i saw these the other day on danni's blog and fell in LOVE with them. seriously. so in love. if only i could remember how to use my sewing machine. :) they are seriously SO cute. I love those! So adorable, the fabric she used is just perfect!! Thanks for the comment on my blog, i look forward to reading more of yours!! This is such a cute share. I wish I was able to sew though! How sweet! My man has insisted on a house full of pumpkins, and I'm dreading the day they all start to fall apart on the kitchen table! HA ha ha...hilarious! Guess what I'm working on right now? Yup pumpkins! They're so cute. xo Great minds think alike. oh my, those are so stinking adorable!! now if i could only find the time to make one. sigh, i miss crafting, and i know you feel my pain. thanks for sharing kim, i'll have to bookmark this for a time when life is less busy! Ooh! Pretty fabric and pumpkins!? It's my utopia. oh I feel your pain! I'm overseas too! Where are you? I'm in Nicaragua. I miss fall and crafting so so much!